We are a Lancaster County-based deck and porch contractor working with a variety of both low-maintenance and wood materials. 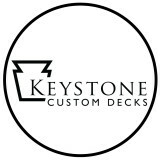 We've been building deck's across south-central PA for over 20 years. From your basic pressure treated wood deck, to large projects with roof overs or sunrooms, and anything in between. Stump's is there for you through every phase, from the initial contact, to designing your deck, to getting your permit and working with the township to the final building stages. Here at Archadeck of Chester County, we deliver the service and community commitment of a local, family-owned business backed by the strength of a parent company that has built over 75,000 incredible outdoor structures since 1980. Our office here in West Chester has been thriving for seven years, and is still going strong! We offer you the benefit of a professional design expert that will custom design your project to complement your home, suit your personal tastes and meet your exact needs for functionality.We proudly serve, but are not necessarily limited to, communities in and around Chester and Delaware County. We invite you to call for a free design consultation. At your consultation we’ll show you past projects, discuss your needs and tastes, explain your construction material options (including the new, low-maintenance wood alternatives), talk about costs, and measure and photograph your home/lot. Or for the low cost of $99, we can come out and perform a full safety inspection if you happen to own an existing deck and are concerned about it's condition. The design consultation is completely free and you are under no obligation to hire Archadeck. Should you decide to move forward after your free design consultation, we will custom design your building plan. You will still not be under any obligation to hire us as your builder until you approve your plan and sign your contract. Of course, once you do sign that contract, you will be protected by two separate guarantees, constituting the most expansive customer protection plan in the industry. And local oversight assures your property and privacy are respected. We attend to every detail from securing any needed building permits to final cleanup. And we work very hard to be as unobtrusive as possible during the entire construction phase. Thank you for considering Archadeck for your project. We hope to hear from you soon. Homestead Structures specializes in transforming your backyard space and poolside fun with custom pool houses, pavilions, pergolas, garden sheds & barns, garages, and more. Based in Lancaster County Amish Country, Homestead Structures offers totally custom buildings to enhance your outdoor living spaces and provide more space for the things you love! Homestead Structures is located in the heart of Lancaster County's rolling farmland, just south of New Holland, PA. We are within easy reach of Lancaster, Philadelphia, West Chester, South Jersey, Harrisburg, York and other surrounding areas. We deliver to the ENTIRE continental USA, and we can ship overseas! At Homestead Structures we are designers. We specialize in highly customized buildings that reflect great attention to detail and craftsmanship. Our Homestead Collections consists of Amish built storage sheds, custom garages, pool houses, pavilions, 2-story barns, cabins, tiny houses, horse barns, board and batten barns, potting sheds, elite garden belles, playhouses, and more. Founded in 1978, we provide quality backyard structures in Pennsylvania, Maryland, New York, New Jersey, and Delaware. We focus primarily on custom wood gazebos, vinyl gazebos, wooden pergolas, vinyl pergolas, wood pavilions, and vinyl pavilions. We also have an economy gazebo line. Our goal is to provide quality products and great customer service. We would rather sacrifice quantity for quality than to sell our pavilions, pergolas, or gazebos in PA, with lower-than-customer expectations. We are located in the middle of Lancaster County amish country. Many of our employees are Amish who value hard work and integrity. We work hard to provide high end products and quality workmanship. Our in-house design team can handle outdoor projects of any scale. 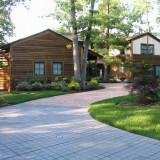 We gladly work with homeowners and landscapers/contractors alike. After you call Screenmobile of Cape-Atlantic, your screen replacement or new installation will be handled by the nation's largest local mobile screen repair company. Screenmobile of Cape-Atlantic is here to provide top quality screen products for your home. Serving Cape May and Atlantic City areas. We are your local screen repair and screen replacement experts, and we do this on-site with our mobile store! No need to drag your screens around - We come to You. We offer a multitude of services for all of your screening needs. We can re screen your existing frames or make you all new ones while we are at your place. We are the local experts for screen porches, screen rooms, swinging doors, sliding screen doors and even sun control screens. Main Deck was established by Joe DiLio in 1974 fabricating ornamental iron and aluminum railings. In 1979 Main Deck expanded to include deck, porch and patio construction. At that time they introduced new Red Cedar products which included unique Victorian, Colonial style Balusters, Newel Posts, Rails, Lamp Posts and Columns. 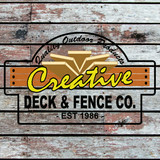 1991 Main Deck began wholesale distribution of their Cedar products. 1999 Main Deck developed and began distribution of the first Cellular PVC Railing System in the industry. Throughout the 2000s Main Deck has continued in product development for the industry and has helped most major cellular PVC manufacturers bring their products to market. 2015 Main Deck developed a new Extruded cellular railing system to be available in 2016. With over forty years experience Main Deck continues to be an industry leader. American Landscape Structures specializes in made-to-order mid to high end landscape structures from shop-made kits. Ask your design consultant about the availability of on site assembly services. Our national reach allows us to focus ONLY on pergolas, pavilions and gazebos not sheds, room additions, furniture, etc. which means we have the focus and know how to help you get your kit done right. What services do deck and patio builders in Pike Creek Valley, DE provide? To help you choose the ideal style, configuration and materials for your deck or patio, your deck and patio contractor will survey your Pike Creek Valley, DE lot and your home to come up with a design that complements your exterior as well as being structurally sound. He or she will recommend sizes, heights and construction materials that suit your lifestyle and climate, as well as explain the best stain or finish options. Additionally, deck and patio professionals can provide insight into additional components such as outdoor kitchens, patio covers, fire pits, outdoor lighting, arbors and more. Your deck and patio professional might work closely with another Pike Creek Valley, DE lawn and landscape professional. Here are some related professionals and vendors to complement the work of decks, patios & outdoor enclosures: Landscape Architects & Landscape Designers, Garden & Landscape Supplies, Stone, Pavers & Concrete, Landscape Contractors, Building Supplies. Find a deck and patio builder in Pike Creek Valley, DE on Houzz.